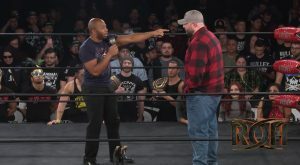 Bully Ray explains why he left his boots in the ring at Final Battle in a pretty good episode of ROH TV. 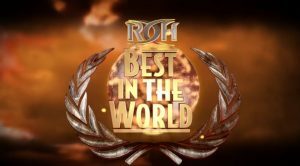 Jay Lethal approaches the new ROH World Champ Dalton Castle with a request, and Flip Gordon challenges Marty Scurll in a very nice first episode of ROH TV in 2018. Being the last TV episode before War of the Worlds, this was a good show with a tag team main event featuring Daniels and Castle versus Cole and Cody.